Fashions may come and go, but as with most things in life, simplicity and high quality is usually the best choice. 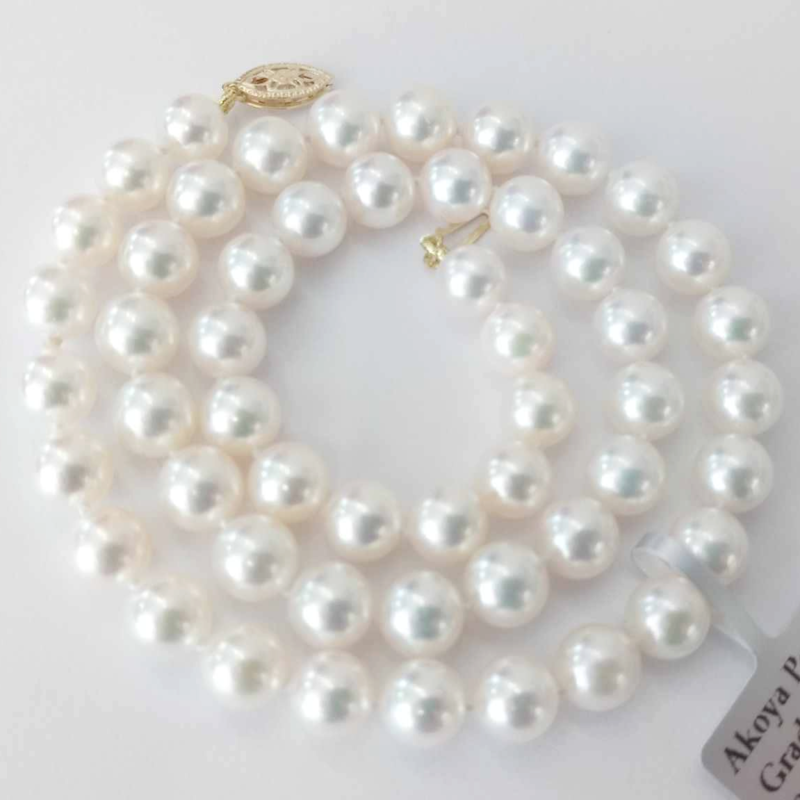 These beautiful Akoya pearls deserve their reputation as the world's most popular. For this classic 18 inch necklace, we carefully select the best from thousands of Grade AAA 7 - 8 mm pearls and string and hand knot them on multi-strand silk in the old-fashioned way for security. A traditional oval filigree clasp in 9ct gold is fitted as standard. Your pearls will arrive in a luxury black velvet presentation box, ready for you to enjoy a lifetime of elegance and style. We will deliver them to any address in the UK at no extra charge.